Normally, we think of infection and disease when we think of fungi. But, there are also benefits that fungi contribute to the forest. 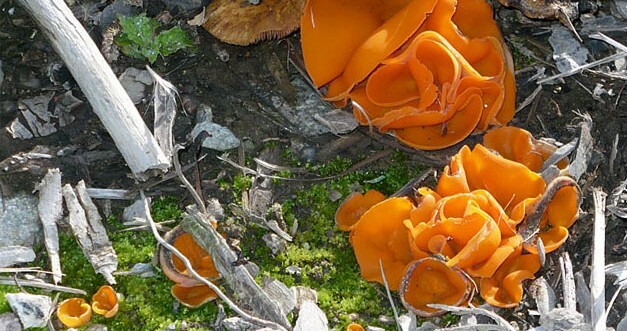 Decomposing fungi are primary agents in wood rotting processes. Symbiotic fungi form mutually beneficial relationships with trees. Many other forest fungi are still to be discovered. The year 2018 was busy. DRPforestry was involved in eight different projects with over 40 clients. Developing biofuels from poplar trees can reduce the amount of carbon dioxide in the atmosphere compared to burning fossil fuels. DRPforestry offers forestry and silvicultural expertise to woodland owners, consulting foresters, appraisers, and other clients working with and assisting the forest resource industry. The mission of DRPforestry is to help individuals make better forestry decisions. Better decisions lead to healthier woodlands, which lead to additional long-term profits as well as short-term savings. Dennis Parent, Senior Forester at DRPforestry, brings over 40 years of forestry experience to fulfill the mission and goals of the company. Foresters and landowners often need some help with field practices and research interpretation so they can apply best forestry practices. DRPforestry offers the experience and expertise to help reach these goals. The more complex facets of forestry are incorporated into a straightforward presentation without burdensome detail. Perhaps the biggest difference that DRPforestry can offer is expert guidance through the entire forestry process for a woodland owner. This may include an initial land examination; development of a long-term management plan; set up and administration of planting, thinning and other silvicultural practices; and personal assistance with timber sale setup or log marketing. DRPforestry ensures that you are receiving a competitive price for your harvested logs and the logging contractor is doing the job right so that your forest tomorrow is in better shape than it is today. Additional services can include everything from timber cruising and marking to timber appraisal and tax assistance. In short, DRPforestry offers a one-stop shop for all your forestry needs. DRPforestry has been accepting new clients since July 1, 2014.